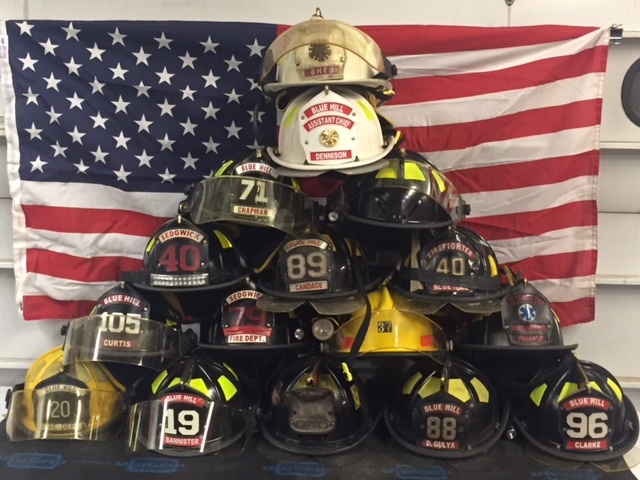 Founded for the purpose of supporting the BHFD, Blue Hill Fire Company is a nonprofit organization that raises funds for training and equipment. These additional fund supplement the Town’s annual budget. The Auxiliary holds fundraising events such as yard sales and an annual Thanksgiving Pie sale. These support the Auxiliary's Christmas Angel Program and other local charities. The Auxiliary provides meals for various Hancock County fire meetings and at several trainings and emergency events. The Auxiliary also enjoys hosting potlucks and celebrations in support of BHFD members and their families. Meetings take place on the second Tuesday of each month at 7pm in the Gad Robertson Room at the station. All are welcome. For questions, call 207-374-5364. Blue Hill Fire Company is a 501(c)(3) nonprofit.